This highly detailed book discovers the amazing number of towns and nearly all cities of Britain that planned trolleybus networks over the last century. There may well have been one near you! 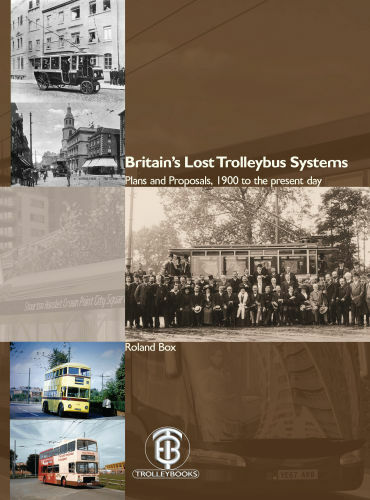 Charting the need, complications and ultimate fate of virtually all known schemes, the author has dedicated many years to researching a previously little known but important aspect of trolleybus history. 188 pages and 225 pictures and large maps. Second printing with amendments. Total weight: 1120g. id - GB28. Shipping: Generally within 5 days.